On 31st January, Ajit Mishra a dual qualified lawyer, corporate partner and Head of India Group at Rosenblatt Solicitors, launched the Indian CEOs’ Forum. The launch event was organised at the House of Lords, Place of Westminster, London UK and the host of the evening was Lord Sheikh. 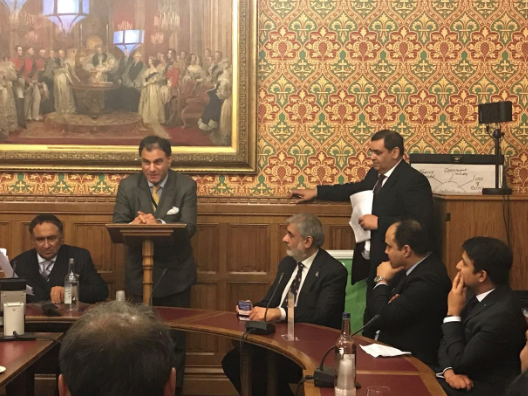 Key speakers included: Lord Karan Bilimoria, Chairman of the Cobra Beer partnership, Ajit Mishra, Founder of The Indian CEO’s Forum, Sunil Chopra, former Mayor Southwark Council and Tarun Sawhney from Times now. The Indian CEOs’ Forum (ICF) is a networking platform for the Indian and British Indian Businesses operating in UK to promote bilateral trade and business opportunities between the two countries. The UK Indian community has done phenomenally well and each Indian business is a case study in itself. These are the businesses which were started by people who came from India and succeeded in UK inspite of all challenges and hardships. To celebrate the success of such businesses, ICF is hosting various events in UK and India, with an endeavour to increase business opportunities in the two countries. While Indian is celebrating 70 years of the independence, we have partnered with the Times Now to profile 70 British-Indian CEOs and Indian businesses through series of events which will be organised in major cities in UK till August 2018.